If you’ve suffered from arthritis, fractures, or other bone illnesses, walking around or up and down stairs, can be troubling every day. That’s why many people consider hip replacement surgery, which replaces your troubled hip with a new artificial hip, in order to help you regain the quality of life you didn’t enjoy beforehand. 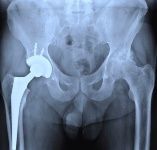 The only problem is: are these metal-on-metal hip implants dangerous? Metal erosion: Over time, the metal can corrode and leave metal ions in your body, eventually entering your bloodstream. Pain: Because of this erosion, many patients report pain around the area of their artificial hip. Bone loss: As you get older, your bones change and many seniors will experience a form of bone loss. This can complicate the implant, making it looser if the bone around the implant weakens, and can require additional surgeries. Tissue damage: According to a recent study, published in the American Academy of Orthopedic Surgeons, patients with metal-on-metal implants may experience unexplained pain because of tissue damage. These side-effects have led the FDA to issue multiple public health announcements over the past three years—including a 2013 safety warning that metal debris corroding in the body can cause tissue damage, and eventually lead to revision surgery. But the warning was too late. Countless patients have sued the makers of metal hip implants, saying the equipment was faulty and led to unnecessary pain, tissue damage, and surgeries. In fact, a U.K. study found that 13% of patients had such severe complications with the metal-on-metal hip implants that they required revision surgery within five years. In fact, Johnson & Johnson is now undergoing trial for designing defective implants. The first of the 10,750 hip lawsuits ordered Johnson & Johnson to pay Loren Kransky $8.30 million to the defendant for pain, suffering, and medical expenses. Kransky is a former prison guard who suffered from metal poisoning after his metal-on-metal hip implant corroded, leaving metal debris in his body. That was just the first trial in a series of lawsuits that the defendant’s lawyer called a “public health disaster.” In the second trial, however, the judge sided with Johnson & Johnson—and maintained that it wasn’t the product that was responsible for the defendant’s pain. There are still many more trials to come. Johnson & Johnson has voluntarily recalled the faulty hip implants. Before undergoing surgery, it’s absolutely essential to understand what you’re getting yourself into. You must weigh the pros and cons of the surgery to determine if the potential side-effects are worth it. Of course, we can’t know when a device will be faulty—but that’s why it’s so important to ask your doctor and surgeon about the procedure and device before beginning. You have to do your own research these days, to make sure you’re getting the best for your health.